A new clause in lowering auto insurance premiums in the UK, dashcam is a hot favorite among the smart car owners today. As the name implies, dashcams are cameras which stay stuck to your car dashboard and record everything that the driver sees from his seat. This way, the dashcams help to render the essential video footage in times of car accidents where lack of evidence could have otherwise imposed the entire blame on you. According to market reports, there are various ways in which dashcams help with claims. 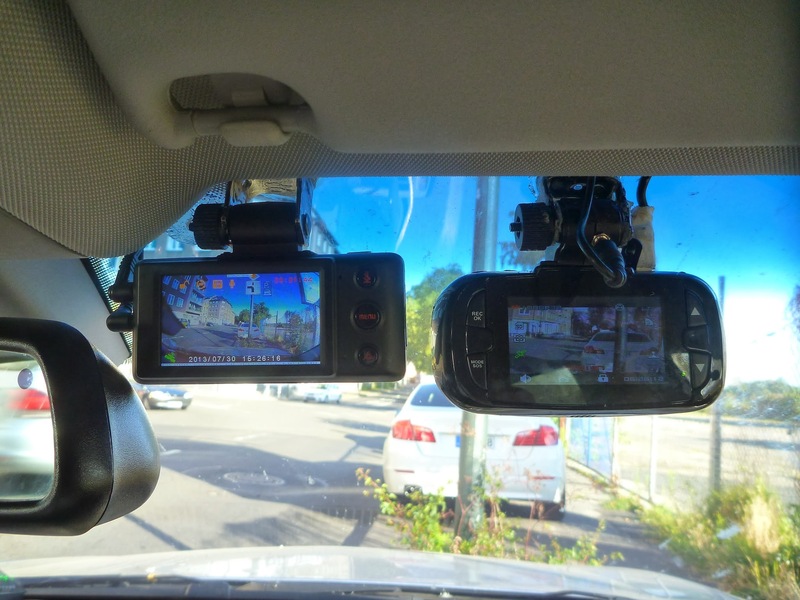 The post below offers a brief on dashcams followed by insights on 6 top pointers which explain why dashcams help with claims. The in-car dashcams come with single or dual lens camera (digital) which is mounted on the car dashboard with suction cup – powered by batteries, cigarette lighter or 12 V direct wiring to the vehicle. The camera starts to record as the car starts and the entire footage recorded will be saved in SD card for future reference. The dashcams cover varied types; some record audio, some are able to record footage in dark vision & some come equipped with in-built GPS to keep track of the location. Though dashcams mostly record what’s happening before the car, some of the advanced models are able to capture things happening inside your vehicle. This is one of the most important points when one is asking how dashcams help with claims. Well, your insurance company will charge you with higher rates in case you car gets involved in on-road accidents. However, in many cases the accident is not the fault of the driver but that of another vehicle or an unmindful pedestrian. In such situations, the dashcams will help to clear-up the alleged hit & run claims for you by offering the needed evidence footage. This way, it will further save you from being charged as faulty by your insurance firm and consequently from the higher charges that could have come with it. Moreover, if the accident turns into a legal dispute, you can successfully defend yourself in the court and prove your point through the video footage from dashcam. In fact, the dashcam would also help to expedite the insurance claim for you. If there is no concrete evidence regarding the actual incident, you might find yourself in prolonged conflicts with your insurance company while making the claim- regarding who was to actually blame for. But when you can prove your innocence to your insurance company with the needed evidence through dashcam, you can rule out the hassles of such drawn-out discussions – leading to a faster claim settlement for you. This is one of the most crucial pointers when you are asking how dashcams help with claims. Well, you would be glad to know that the leading insurance companies in the UK are ready to offer around 10 to 15 percent discount on car insurance premiums for cars with dashcams. So, if you are about to apply for car insurance for your new steam, make sure to gear it up with a handy dashcam before you meet the insurance pros. According to top insurance officials here, dashcams will help you to retain your No Claims Discount. According to insurance officials, they consider people who drive cars backed by dashcams are careful drivers. This is mostly because, the footage captured by the dashcam can be later studied by the drivers to check their strengths and weaknesses behind the steering. This way, they would be able to work on the weak-points more effectively and improve their driving skills- leading to informed and safe drives. It’s needless to mention here that a good and safe driving record will automatically reduce your car insurance premiums. When you make claims to your insurance company for your damaged vehicle, the company would want to check whether you were responsible for the damage or not. In case, the company finds you responsible, you would be penalized with higher rates. However, dashcams help with claims related to car damage from vandalism by burglars. Most of the dashcams can operate in standby mode and would get turned on whenever it senses any sort of motion around or inside the car. This way, it will record the entire vandalism episode and will provide your insurance company the required evidence to prove you were not at fault and have every right to make claims to the company. At times, car damage can be caused from unexpected events as well such as your neighbour’s tree suddenly crashing on your car from a storm attack. In such cases, your dashcam will record everything so that you can show the evidence to your insurance company while making the claim- saving yourself from surcharge in turn. Crash for crash scams are fraudulent situations where some unethical people fabricate accidents to stage faulty insurance claims. It can mean different scenarios- in some cases, you have fraudsters crashing their vehicles deliberately to emulate effects of crash while in some situations the fraudster would voluntarily slam on car brakes to make the vehicle behind crash into them. You would be shocked to know that innocent motorists victimized in such staged accidents are forced to pay an additional 50 pounds in their annual insurance bill. The money gained by these fraudsters here is further used to sponsor more heinous crimes such as smuggling & dealings with illegal firearms. This is another area where dashcams help with claims. In case, you find yourself being victimized of such a staged insurance accident, you can take the help of your dashcam to reveal the actual happenings and save yourself from the false claim. The 6 pointers mentioned above show how brilliantly dashcams help with claims. Thus, as a smart and conscious driver, you must ensure to get a dashcam for your car.